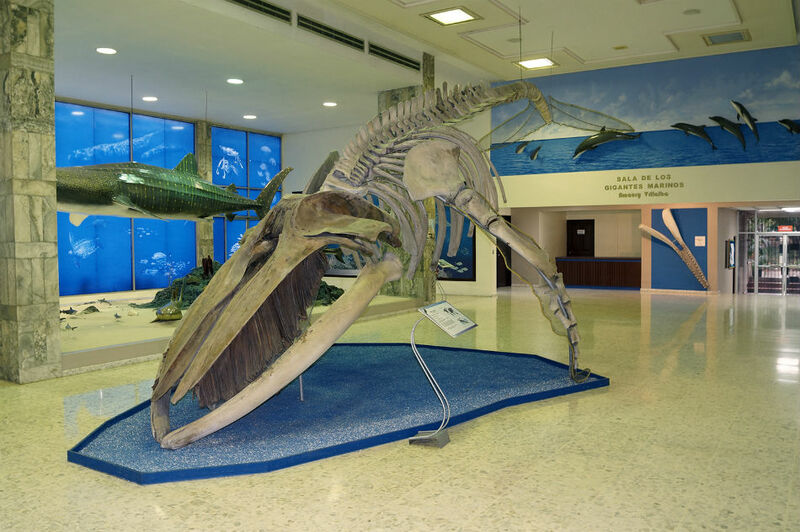 Discover the mysteries of nature in the Museo Nacional de Historia Natural in Santo Domingo, Dominican Republic. Visit the Museo Nacional de Historia Natural (National Museum of History) and discover how we got to where we are today throughout our planet’s history. Inaugurated in 1982, this museum is located in Culture Square, the meeting point of several museums and other cultural places in the center of Santo Domingo. Its main goal is the research and education of the community on the importance of the natural world. For this purpose, it has seven different rooms in addition to the individual exhibitions which are also permanent. Among the rooms, the museum has the Universe Room, the Earth Room, the Rocks and Minerals Room, the Prof. Julio Cicero Ecology Room, the ‘Annabelle Stockton de Dod’ Birds Room and the Biogeography Room. The permanent exhibitions display collections of fossils and amber, as well as insects, sharks and the Hispaniola boa. Furthermore, there are also temporary exhibitions along with other activities. Go ahead and join the monthly activities in the observatory of the museum, and learn about how they used the different and complicated telescopes with which you can take a look at numerous phenomena in the Universe. The program of this activity consists of a session in the Planetarium (with a questions and answers meeting), and an activity of astronomical sighting with telescopes and professional guides. At the corner between Máximo Gómez and César Nicolás Penson avenues, Culture Square. Santo Domingo, Dominican Republic.